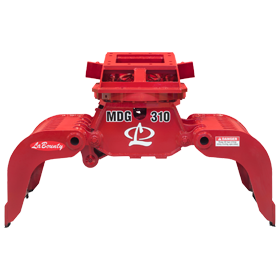 The LaBounty Mobile Demolition Grapple (MDG), is ideal for demolition, material handling, and sorting applications. 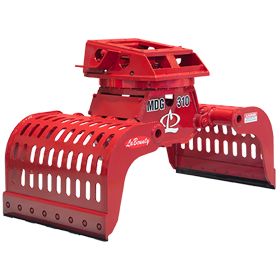 Each MDG product features a 360° continuous rotation, heavy duty turntable, and synchronized jaws designed for severe duty applications. 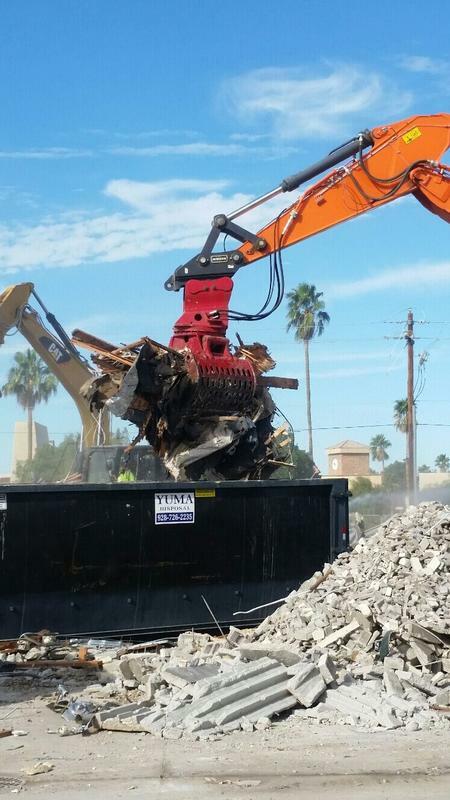 Solid waste recycling, sorting, handling, and land clearing. 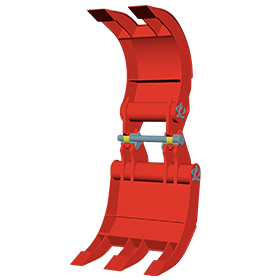 360° high torque rotation provides control when handling uneven loads. Guard plate protects hydraulic system from debris. Perforated jaw design enables both visibility and material control with less pass through and jamming. 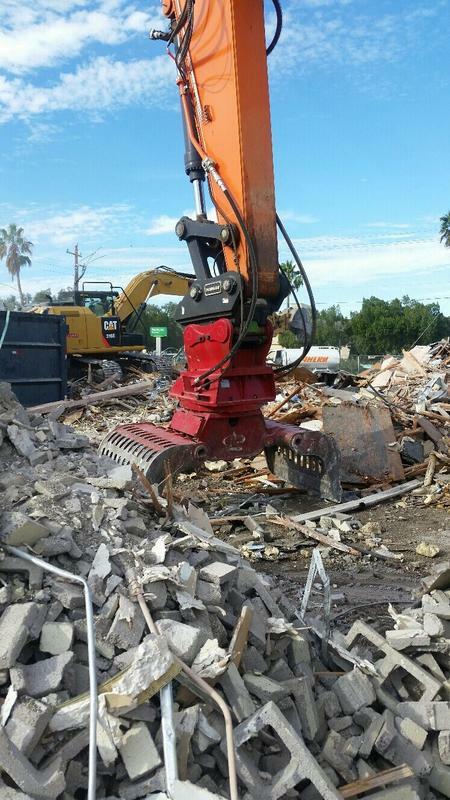 Robust rotating group designed for demolition applications. Replaceable and interchangeable bolt on blades for long life and easy maintenance.